Although the number of climbers attempting to scale Everest has exploded over the past couple of decades, the 29,029-foot peak of the world's tallest mountain is still off limits for most of us. The South Everest Base Camp, however, is accessible even to beginner mountaineers. If climbing only to a "base" sounds like a cop out, consider this: South Base Camp reaches a height of 17,598 feet and it still takes about two weeks to get there. One of your biggest challenges on the trek to Everest Base Camp is likely to be overcoming altitude sickness. Set aside some time to acclimatize and go slowly; make time to take in the natural beauty, monasteries and museums along the way. 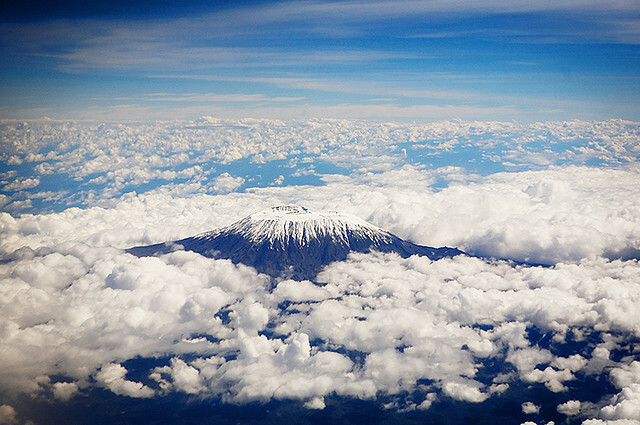 Africa's tallest mountain offers several different routes up to its 19,341-foot peak. The Marangu route is often said to be the easiest and the cheapest, and can be completed in six days without the use of ropes or climbing expertise. As with Everest Base Camp, however, it is worth taking your time to acclimatize to the altitude sickness that causes the Marangu route to have the lowest rate of successful ascents. Heed the advice of the Swahili-speaking mountain guides when they say "pole, pole" (slowly, slowly). "A wise man climbs Mount Fuji once; only a fool climbs it twice." The fact that most people who climb Fuji-san are not climbers is evident in this Japanese proverb, and in the statistics: during climbing season (July and August) more than 4,000 people climb every day. 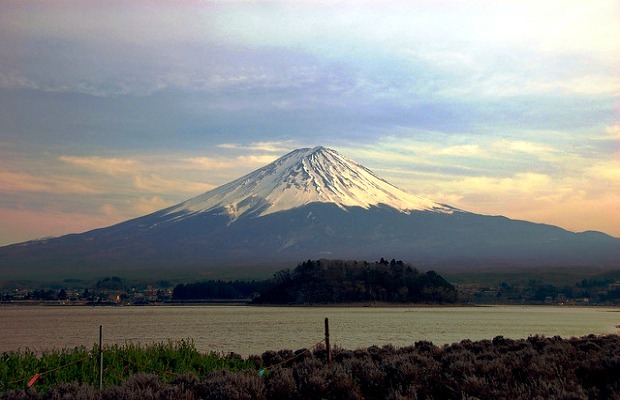 Now that the 12, 388-foot Fuji has been added to the World Heritage List, that number is likely to increase. The upside of this, however, is that the trails do not lack facilities: there are more than 40 mountain huts , for example, which can accommodate around 7,000 people. Although it is a steep and demanding climb, and should not be attempted outside of climbing season, the sight of elderly people making their way to the top will surely convince you to keep going. The highest mountain in the British Isles, Ben Nevis stands at a relatively unimposing 4,409 feet and the path to the top is a fairly well-trodden one, attracting around 100,000 ascents per year. 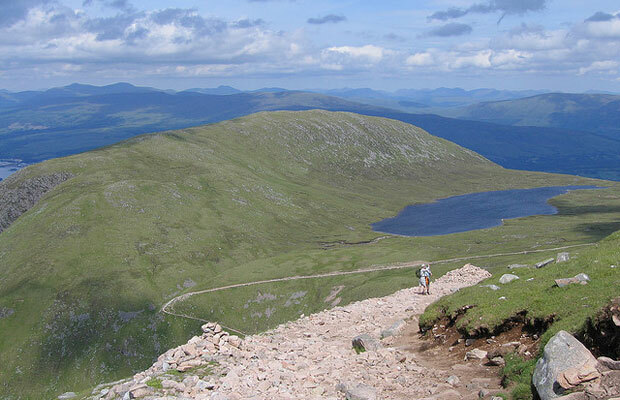 Although the mountain's Gaelic name, Beinn Nibheis, is thought to translate as "malicious mountain," it usually only takes three to five hours to reach the top – although the record for the annual Ben Nevis Race is just under an hour and a half. Novice climbers should be aware, however, that navigation on the mountain can be difficult, especially when the ubiquitous fog rolls in. Be sure to carry a compass. Although Peru's tallest mountain can be scaled by novice climbers, if you don't have a lot of climbing experience, it would be a good idea to tackle it with assistance from a climbing company. The climb usually takes around five to seven days. Huascarán, which has two summits, the highest of which measures 22,205 feet, is situated in the Andean Cordillera Blanca mountain range. 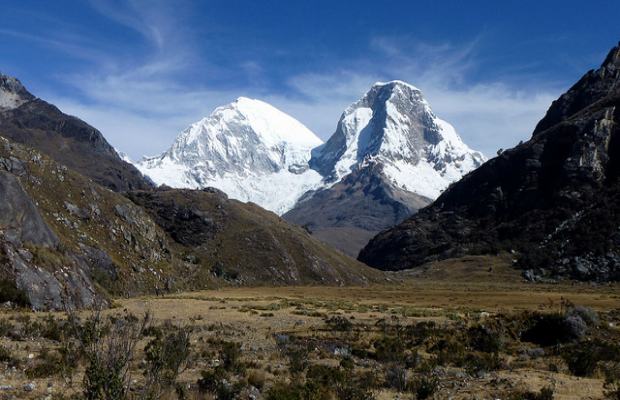 The mountain gives its name to the surrounding Huascarán National park, a popular spot for hikers and campers. Even if you change your mind about taking on the mountain, you can still pursue the less demanding three-to-five day trek along the Llanganuco-Santa Cruz Loop, which runs through mountain valleys, past lakes, and over a 15,437-foot-high pass.